Particularly in proximity to business centers, condos are a smart investment for landlords. Whether you’re looking at condos for investment property or thinking “I want to rent my condo when I buy a house or relocate for work,” here are tips that can help you rent that condo quickly. If you want to switch to renting out a condo where you’ve been living, you’ll need to do some work first. Make minor repairs or upgrades to modernize the unit, such as repainting walls or updating light fixtures. These quick fixes make the unit more attractive to renters, and may help you command a higher rent. Once you’ve made light repairs, de-clutter and clean. When your condo is tidy, take high-quality photos to use for the listing. You may wish to create a video, too, which can make your unit gain an edge. To prepare for showing your condo, think of who would want to live there. If you’re near a university, students and professors might be a natural fit. If you’re in the downtown business area, entrepreneurs and businesspeople may like the location. While you can’t market to a particular demographic — that would violate the Fair Housing Act — you can make sure your listing is advertised at local universities or businesses, in addition to using other channels. You can also highlight features you love about your condo that would appeal to your audience, as long as these don’t discriminate against a protected class. Maybe the location is walkable to everything, or perhaps you love the storage and parking. Brainstorm concrete selling points, which you’ll then use to create a standout listing and when you show the condo in person. Once you list your condo, leads will start flowing. At this point, you need to screen applicants by checking their credit and running a background check. A basic background check will show previous addresses, eviction history, criminal records and credit reports. Members of the American Apartment Owners Association receive a discount on tenant screening. 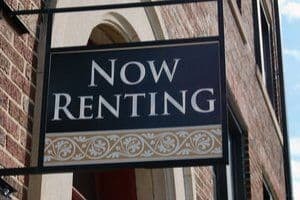 When you’re learning how to rent a condo for the first time, it may seem unnecessary to screen tenants. However, no tenant who can afford to rent your condo will be afraid of passing a tenant screening. This check provides you with the peace of mind that candidates are presenting themselves honestly and can afford the rent. Screening applicants reduces your risk of winding up with a tenant who cannot afford the rent or who mistreats your condo. If you don’t screen applicants, you could have a nightmare renter who damages your condo or skips town partway through the lease period, leaving you with an unanticipated vacancy. Once you screen your applicants, you can accept the first qualified applicant who is interested in renting. Renting out a condo for the first time can bring extra funds that help you reach a financial goal. Get all the tips you need to rent out your condo the right way, as well as discounts and incentives, by becoming a member of the American Apartment Owners Association today.